You no doubt heard those intense storms as they rumbled through our area last night. But they did more than drop heavy rain and cause a couple of big booms. 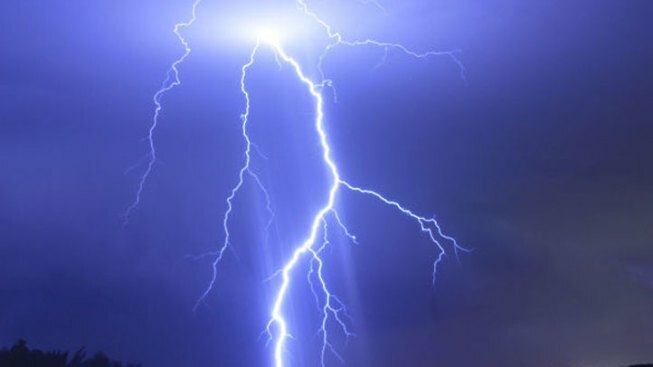 Two people were seriously injured after being struck by lightning and about a dozen drivers had to be rescued from rising waters. First in Arlington, police say two people were walking near the intersection of Franklin and Key Streets in the Clarendon area when lightning struck. A neighbor tells NBC Washington they saw a man shortly after giving a woman CPR. At the scene, investigators found a shoe, glasses with the lenses blown out and an umbrella about six feet away. Paramedics quickly rushed both people to the hospital, and they remain in serious condition. Meanwhile, not far away in the Merrifield area of Fairfax County, swift water crews were kept busy with several cars trapped by high water. Three cars got stuck on Prosperity Avenue when a small creek swelled more than four feet, flooding Eakin Park and spilled over onto the road. Five people had to be rescued from those cars, including two nuns. Firefighters had to perform at least a dozen high water rescues in the county through the night.